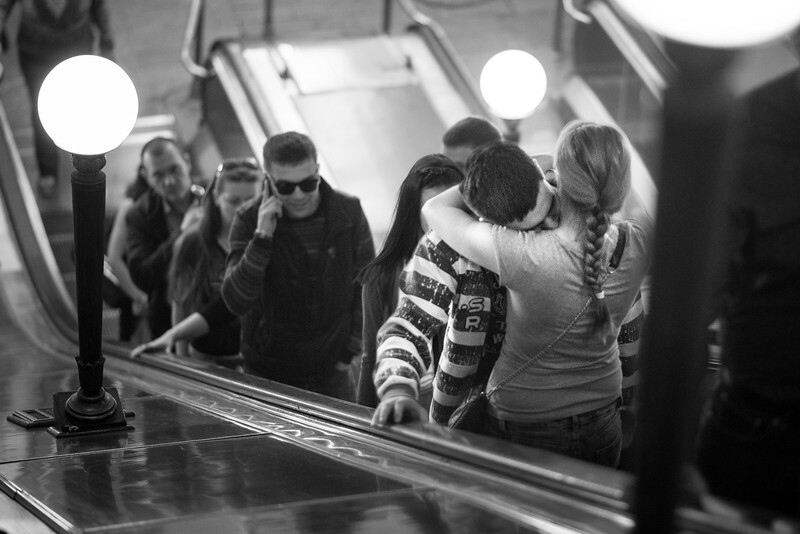 Young lovebirds kissing on the escalators of the metro. One can hardly imagine an act further from geopolitics. And yet, as the current standoff between East and West deepens, so do our stereotypes about one another. 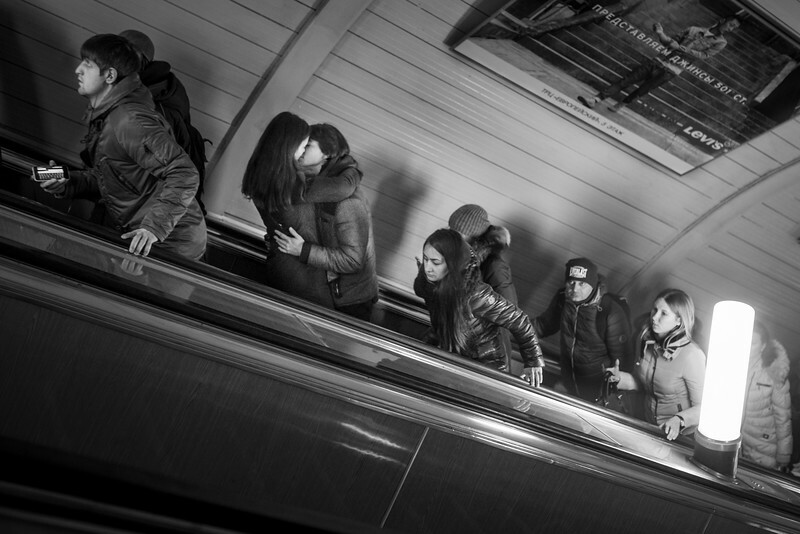 Challenging the dominant narrative of the cold, severe Russian people, these young lovers embrace, oblivious to the world around them -- creating a bond with the viewer through the universal paradigm of "young love". 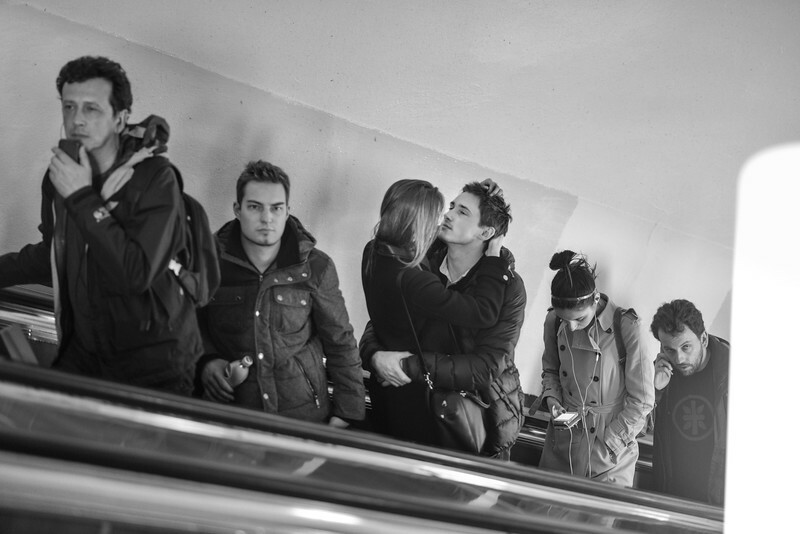 Contrary to what you might see in the news, life in Moscow is certainly not lacking in love... candid escalator love.